Several years ago, Zambia launched its “Keep Zambia Clean” campaign. 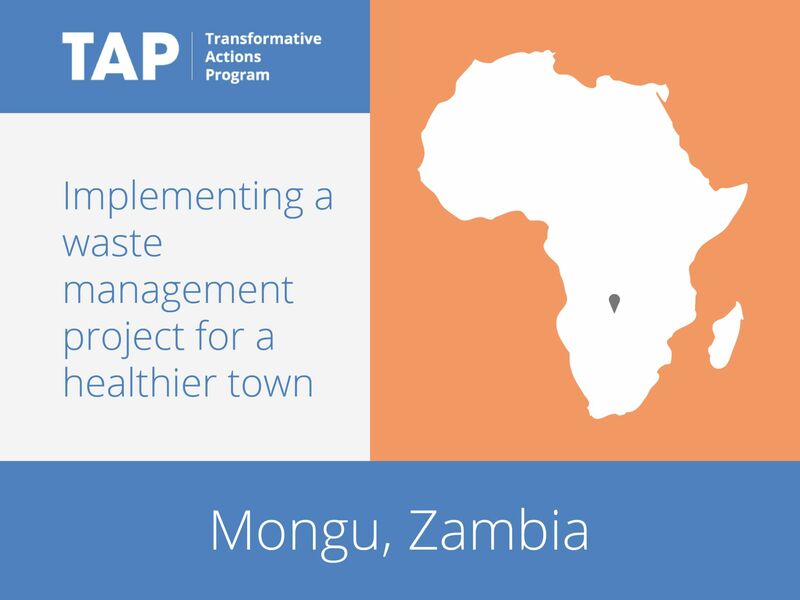 Mongu is following up on this with an integrated solid waste management plan, with the aim of producing a greener, cleaner and healthier city. Specific outputs include a well-engineered landfill, biogas digesters, secondary waste collections, improved sanitation facilities at the bus station and markets, and the establishment of a waste management unit. In tandem with this program, Mongu will plant trees on the sides of the streets to capture emissions, to improve the city for residents, and to raise awareness of the potential for climate action.